It’s Open Education Week again and we’re celebrating Open Educational Resources! In 2018, we hosted a “Driving Student Success through Affordable Course Material” Symposium. 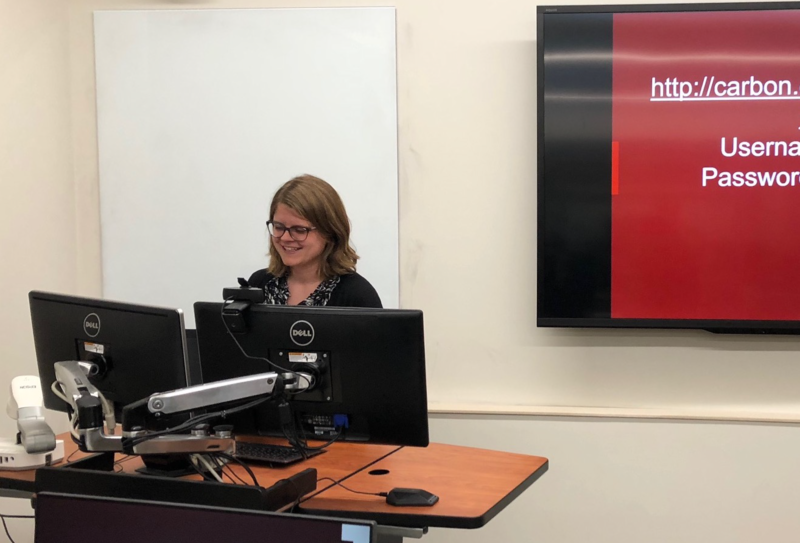 The symposium featured three guest speakers from University of Wisconsin-Madison and centered on a UITS-supported book publishing tool, Pressbooks. Lots has happened with OER at IU since then: UITS rolled out Pressbooks for everyone with IU credentials (now anyone can log in and create/ publish OER with Pressbooks) and the Libraries started to partner with CITL and UITS to create tailored OER outreach for instructors in STEM. We’re also hosting a Brown Bag on OER on Wednesday, March 6–join us in person or on Zoom! One of the most important outcomes of the symposium, though, was a course redesign for an online, doctoral-level course in the School of Education, L700: Seminar in Literacy, Culture, and Language Education (LCLE). The instructor of the course, Beth Lewis Samuelson, attended the symposium and became interested in Pressbooks as a result. Pressbooks is a great tool for authoring course material content: you can import/ export in multiple formats, it’s easy to use and looks like WordPress, and has some added features like built-in plugins for student annotation and engagement with texts. Beth had already been talking to Julie Marie Frye, Head of the Education Library, about how to redesign the course so that students’ important work could be shared publicly. A core assignment for the course is a group project that asks students to present an overview of a research methodology or theory. The assignment is intentionally designed to give students an opportunity to do a deep dive into a methodology or theory that might be of interest for their dissertation work. 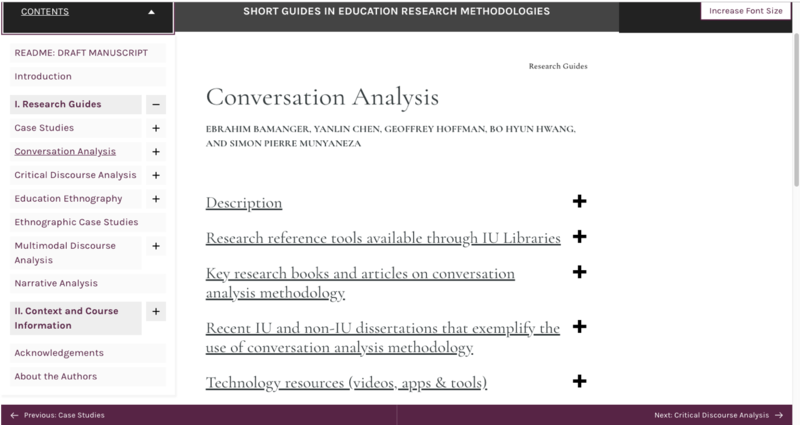 The course is required for doctoral students in LCLE and this assignment recognizes that it is impossible to provide a comprehensive overview of every methodology; instead, students explore what is of interest to them with the support of the instructor, colleagues, and librarians. As Beth, Julie Marie, and I discussed student-created OER in more detail, we realized that students may need additional support in understanding openness (including Creative Commons) and mastering information literacy concepts related to evaluation, authoring, and entering the information ecosystem as not only readers, but also creators and authors. We also recognized that as doctoral students, it was an important exercise for students to read, understand, and sign a copyright agreement (and practice consulting with a co-author to agree on such an agreement) in order to contribute. Thus, we went with an “opt in” model, which is unique from other open pedagogy projects. Other projects will often be designed around an open class project with students opting out or completing alternative assignments if they don’t want to participate. There are pros and cons to each model but we intentionally chose this design in order to make publication processes and authorship more transparent. We applied for and were awarded two grants to complete the redesign: a School of Education Teaching with Technology grant and an IU Libraries Information Literacy Course Grant [read our proposal]. These grants gave us funding and a support structure that made the redesign possible. For example, as a result of the grant we were able to hire a Pressbooks editor that kept track of author agreements, set up the Pressbook, collected contributions, and performed basic editing. The grants also helped us expand the scope of the redesign in order to better support students and enhance their understanding of information literacy issues. As a result of the Teaching with Technology grant, we were able to hire an artist and videographer to create “chalk talks” that present concepts visually and inspire in-depth conversation about complex topics like authority and confidence as a new scholar. Chalk talks are educational videos where an instructor explains a concept verbally while a sketch presents information visually. One goal of shifting to a chalk talk model is that students see information presented in a variety of ways. For example, chalk talks often challenge instructors to illustrate concepts, often requiring that they use metaphors or analogies that help students make connections. The chalk talks also made a “flipped librarian” model possible, where the concepts covered in the talks didn’t also have to be covered in consultations. We have several colleagues to thank for helping us draft this content. School of Education Professors Mitzi Lewison and Karen Wohlwend generously agreed to meet with us to discuss their research and publication processes. These interviews helped us craft and refine many of the scripts for the chalks talks. Additionally, as a result of the information literacy course grant, we were able to consult with Undergraduate Education Librarian Meggan Press on the chalk talk content, greatly improving how we presented concepts to students. All of these chalk talks will be openly licensed so that others can use them! Have you ever had to sign a copyright agreement? If so, was it a transfer or did you grant a license to the publisher? What excites you about sharing your work formally in the information ecosystem? What’s still intimidating or unclear about sharing your work? Explore the Creative Commons License generator. Which license(s) align with how you want your work to be used by others? What questions do you still have about copyright and your intellectual property? Overall, we felt the redesign was successful. Discussions within Canvas about the chalk talks were thorough and engaging. Students had follow up questions about open access dissertations, which resulted in recording a short presentation on dissertations specifically. Each of the Fall 2018 students agreed to contribute to the Pressbook via the contract we drafted in consultation with Copyright Librarian Naz Pantaloni. We are continuing to refine the Pressbook itself but hope to publish it (under a Creative Commons license!) soon. Additionally, L700 students from Spring 2018 and Spring 2019 are also contributing to the Pressbook. Thus, the book will span multiple course sections. Still, there is work to be done. We continue to be involved in L700 and in mid-February, Julie Marie and I visited the course to facilitate a card sort activity, which asked students to reflect on how they evaluate and prioritize sources for their research. As an example, one of the criteria we discussed with students was cost, which prompted more in-depth conversations about open access than we had with previous iterations of the course. Try to have curriculum content created before the semester starts! We were creating content while the course was happening, which was a challenging balancing act. Think through how design needs to change or adjust when teaching in person vs. online. 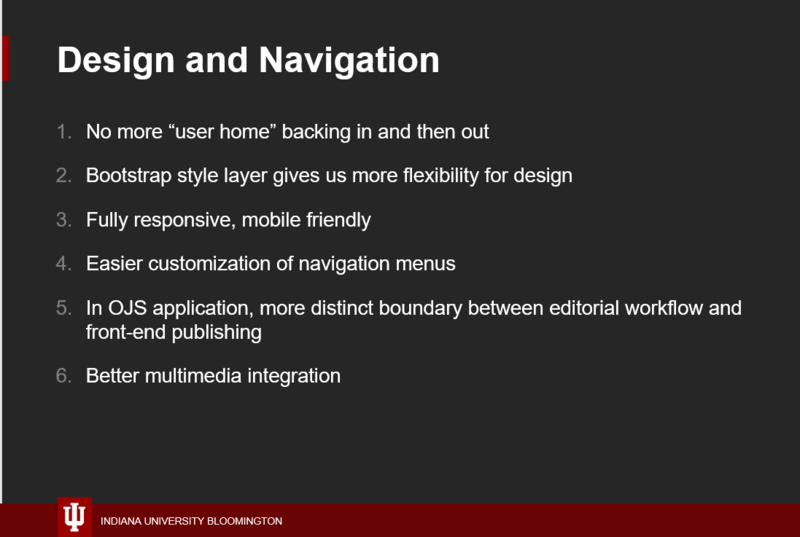 Every redesign should consider this context and how presentation of content changes based on course makeup and setting. Flesh out ways that students might explore different forms of critical annotation. In this assignment, students create a sort of annotated bibliography but using hypothes.is or a similar tool might lend itself to a different kind of engagement. Are you interested in having your students create a textbook or other OER? Are you interested in better integrating digital literacy topics like curation, evaluation, and sharing intellectual property into your course? Wondering what Pressbooks is and how easy it would be for students to use? Not sure where to start? We’re happy to help! E-mail iusw@indiana.edu to set up a consultation today. This post was written by Scholarly Communication department student assistant Allison Nolan. In February 2017, the Bloomington Faculty Council passed an Open Access policy. The policy provides a mechanism for making faculty-authored articles published after 2017 open access (unless faculty opt out of the policy for a particular article). Beyond making content open access, the policy asks faculty to reflect on how they would like their work to be used in perpetuity. IU Bloomington’s was the 56th faculty council in the world to unanimously pass an open access policy, joining Harvard, Duke, Princeton, Stanford, MIT and others. In conjunction with the policy, the Scholarly Communication department launched a new institutional repository, IUScholarWorks Open, to accommodate articles made openly available as a result of the policy. IUSW Open acts as a seamless service point for faculty to deposit articles, opt out of the policy, or view their colleagues’ open access work. Over the last two years, the Scholarly Communication department has aligned the IU faculty annual reporting system, where most faculty already enter information about their research and creative activity, with the OA Policy. Department staff processed IUB faculty-authored scholarly articles across all disciplines while also encouraging faculty to submit their work to the repository directly through targeted outreach. In the two years since the policy was instituted, over 500 items have been deposited to IUSW Open, all by various IU faculty authors and collaborators. SC department staff have been able to share the final versions (sometimes called the version of record) of over 200 articles and link over 150 open access versions of articles from authors across IUB. In addition to checking publisher policies for faculty-authored articles, Scholarly Communication staff consulted with individual faculty to share a version of their article open access. In addition to highlighting the quantity of articles made openly available, it’s important to showcase the range of scholarship faculty published and subsequently was made available. These highlights are obviously only a small subset of the articles made openly available but they illustrate that the diversity of topics represented within the repository is evident and mirrors the intellectual diversity of the IUB faculty. For example, Kylie Peppler’s “Advancing Arts Education in a Digital Age” discusses how instructors can utilize digital tools in order to help students become content creators, rather than simply rejecting technology as something that distracts from or changes the nature of content creation. Angela T. Maitner and others’ “The impact of culture and identity on emotional reactions to insults” explores the ways in which people from different ethnic backgrounds react to insults related to an aspect of their cultural or religious identity, specifically in relationship to cultures that are rooted in concepts of honor and dignity. Kelly M. Moench and Cara L. Wellman examined the manner and speed of dendrite rebuilding in mice, particularly females, after periods of prolonged, chronic stress. The goal of the experiment was to determine the impact of stress on both male and female brains and it was concluded that the long-term effects of continued stress, rather than acute stress, were more likely to lead to detrimental outcomes in women. Each of these articles pose questions that are relevant to advancing their respective fields, and the interdisciplinary nature of IUScholarWorks Open allows all of these research outputs to exist in the same space. In the last two years, IUB’s open access policy has helped to highlight faculty research and create critical discussions surrounding open access and the opportunities that it provides for academic scholarship. As an example, an Open Access Article Publishing Fund was recently established by the IU Libraries and the Office of the Vice Provost for Research to subsidize the cost of publishing gold open access. IUScholarWorks Open will inevitably grow as time goes on and faculty work continues to be processed. We hope that knowledge of the policy and IUSW Open, and ongoing educational efforts as to what exactly it means to make academic work open access, will increase faculty engagement on this important issue. We’re very excited to share that Jenny Hoops will begin as the department’s new Open Access Publishing Manager on January 7, 2019. In this role, Jenny will provide user support for the department’s journal program and institutional repository. Jenny will also oversee the creation of documentation to support users and contribute feature requests to our development team in order to improve systems and workflows. Jenny will take over for Richard Higgins, who previously served as Open Access Publishing Manager. 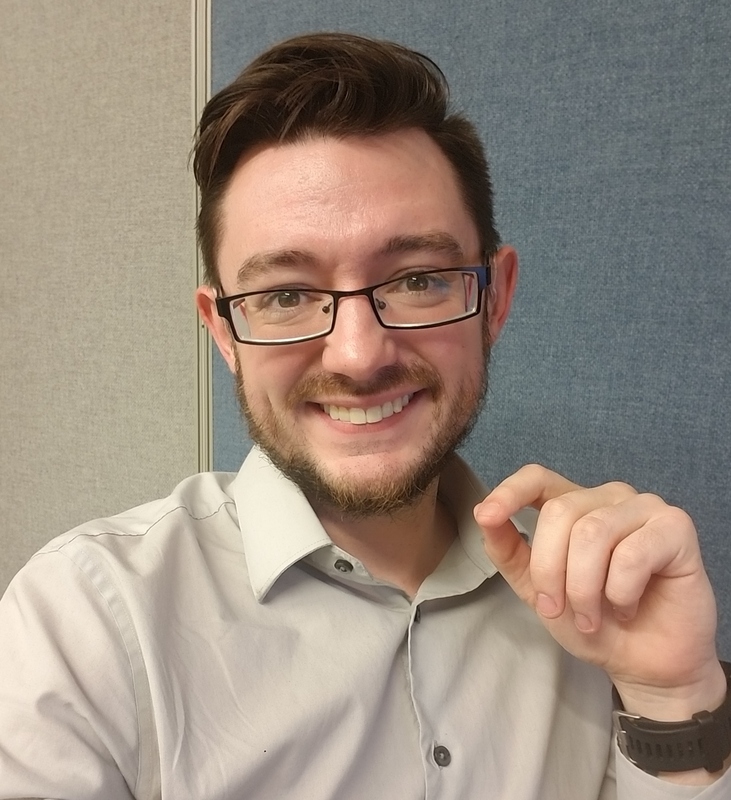 He joined the Library Technologies Unit in October 2018 as a Programmer/Analyst and continues to work closely with the department. 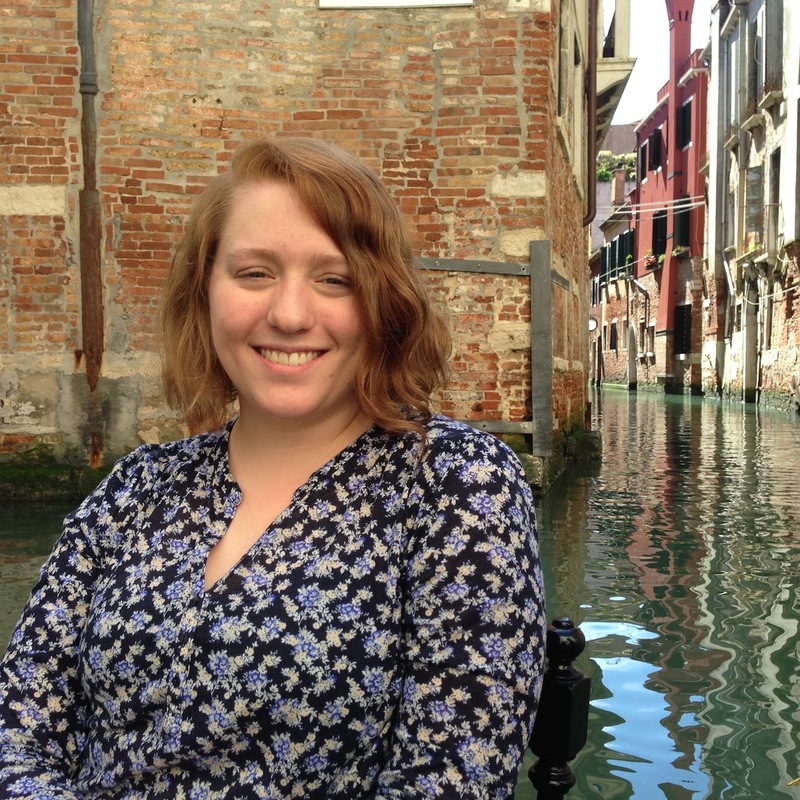 Previously, Jenny served as Digital Publishing Assistant in the Scholarly Communication Department, collaborating with SC staff to lead and assess several projects. Jenny is currently completing her Library Science degree. Her research interests include open publishing trends and digital accessibility/literacy. Before coming to IU, she completed a bachelor’s degree in history and gender/sexuality studies at Grinnell College. Please join me in welcoming Jenny to the Libraries! Join us in welcoming two new graduate student assistants to the Scholarly Communication Department! We are thrilled to have Allison Nolan and Brian Watson join our team. Both Allison and Brian are new master’s students in the Information and Library Science (ILS) Program in the School of Informatics, Computing, and Engineering. 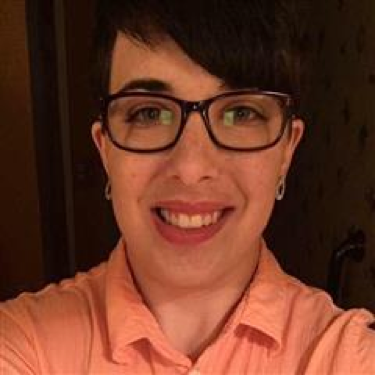 Allison Nolan received her Bachelor of Arts in English and Humanities from Valparaiso University in 2017. She worked for three years in the Valparaiso University Christopher Center library as the Marketing Student Assistant. In addition to working with the IU Library Scholarly Communications Department, she is also the Center Supervisor for the Teter residence hall library. Brian Watson is a historian of sexuality and the book. After winning several awards for his MA thesis, he expanded it into a full-length monograph which was featured on Conan O’Brien and elsewhere. He is a moderator for the world’s largest academic history forum, AskHistorians, and an editor and host of its podcast. He plans to focus on the interactions of humanities, archives and the digital world throughout his time at IU. He is also currently working on his next book, which focuses on the historiography of sexuality research. We look forward to working with Allison and Brian. We can’t wait to see what they accomplish during their time at IU! This summer, the Office of Scholarly Publishing has been reflecting on the services we provide and the value we bring to IU’s campus and open access scholarly publishing broadly. Simultaneously, the Office of Scholarly Publishing (OSP) has been mentioned in several recent articles and news pieces on open access publishing and author rights. I believe that these pieces start to answer our questions about the value, perspective, and expertise that we contribute to the larger community. I am not able to quantify the financial investments that the IU Libraries have made in MAR via the IUSW program, but the investment is significant and important…. just as MAR tries to serve the field without charging fees for that service, IUSW tries to serve projects like MAR without charging fees for that service. It is certainly the case that economies of scale have been realized by having library-based publishing support services that can concurrently help a wide range of (mostly small) journal projects. Another recent piece, “What Happened, or, Impasses and Future Horizons for an Open Anthropology of Work” grapples with the challenges of operationalizing open access in the field of anthropology. The editorial cites conversations with the Office of Scholarly Publishing to make an important anthropology title, Anthropology Work Review, open access. While the effort was not successful and we do not currently publish AWR, the piece is important for demonstrating the values that IU’s OSP is dedicated to. Conversations with AWR were also a reflective exercise for our team, as they forced us to reflect on and operationalize our values, which in turn led to a better understanding of our own mission and ethics. Finally, a recent op ed (first presented as a keynote) discusses the 50th anniversary of the Liberian Studies Association and mentions the association’s journal, the Liberian Studies Journal. The OSP currently hosts the journal’s back issues and is in conversations to help the publication renew publication efforts. Serving IU faculty and students, through journal publishing, open access book publishing, and course material publishing. Moving conversations on publishing innovations forward on campus and in the larger community. This includes, but isn’t limited to, conversations around experimental peer review, course material affordability, hybrid OA models, open source infrastructure, and new modes of scholarship, including 3D object and multi-media integration. Educating the next generation of scholars, both through supporting the creation of student publishing projects and creating programming and hands-on experiences for students interested in publishing, open access, and scholarly career paths. Moving the national conversation on library publishing, library/press partnerships, and open access forward. I’m excited to see that we are already making a significant impact in several of these areas, including number four. The pieces above demonstrate that we are both inspiring and contributing to important national conversations that will impact the future of open access publishing. This post was authored by Scholarly Communication Department Graduate Student Jenny Hoops. The fifth annual OpenCon 2018 will be held in Toronto this November 2-4. 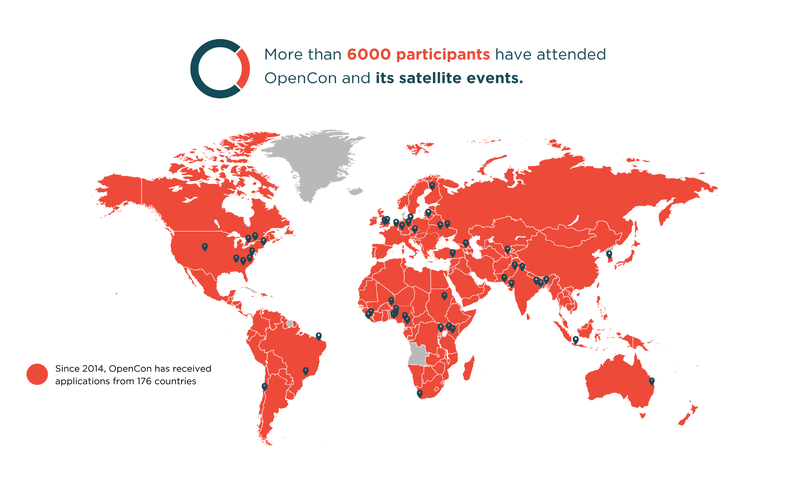 In coordination with SPARC and the Right to Research Coalition, as well as York University, Ryerson University, and the University of Toronto, OpenCon aims to educate and develop Open Access, Open Education, and Open Data around the world. The two-day conference will feature a diverse set of panels, regional workshops, and project presentations. The final day will also involve an innovative “Do-A-Thon” that will encourage content creation that will hopefully create resources and collaborations that will last long after the conference formally ends. Attendance at the meeting is by application only, and past participants have received full or partial travel scholarships. Students and early career professionals are particularly encouraged to apply. Apply at www.opencon2018.org/apply for a chance to network with other passionate advocates for a more Open world. This post was authored by Scholarly Communication Department student assistant Regine Vincent. Through the Office of Scholarly Publishing (OSP), a partnership between the IU Libraries and the Indiana University Press, readers everywhere have access to 30+ scholarly journals and scholarly publications free of charge. One of these journals is The Hoosier Science Teacher. The Hoosier Science Teacher aims to “provide science educators in Pre-K-12 classrooms, informal education, home schools, and college classrooms with ideas and resources for teaching science…[and publish] content that may help support effective teaching of science and professional development for science educators.” First published in 1975 by The Hoosier Association of Science Teachers, Inc. (HASTI), The Hoosier Science Teacher published regularly in print until 2014. In 2017, publication of the Teacher resumed electronically. All of the journal’s content is immediately accessible, as open access is core to its mission. The journal’s Managing Editor, Matthew J. Benus, is an Assistant Professor of Science Education in the IU Northwest School of Education and a Think Tank & Strategic Consultant for Science & Learning. The Hoosier Science Teacher’s commitment to open access and immediate availability makes it an immediately accessible and useful resource for teachers. According to Education Week Teacher, educators around the United States spend more than $1 billion dollars a year out-of-pocket on school supplies and resources for their students. This is particularly troubling for schools serving lower-income neighborhoods where, according to NPR, “teachers in high-poverty schools often find themselves digging even deeper into their own pockets.” Access to publications like The Hoosier Science Teacher may help educators to alleviate some of the out-of-pocket costs that they encounter when trying to access needed resources and literature on experimental approaches for their students and their teaching. The IU Libraries is committed to diverse collections and perspectives, as the Libraries Diversity Strategic Plan notes that “diversity is… essential to the intellectual vitality of the university.” The Scholarly Communication department shares this commitment and aims to highlight IU’s diversity through our journal publishing program and through supporting publications like The Hoosier Science Teacher. Congratulations to Jenny Hoops, Scholarly Communication Department Student Assistant, on winning the IUB Libraries Student Employee Recognition Award! The purpose of the award is to recognize student employees who demonstrate outstanding performance and make exceptional contributions toward the achievement of the department’s goals and objectives. Jenny has exceeded the expectations for her position, furthering the IU Libraries strategic goals and enabling the Scholarly Communication Department to successfully operationalize several key services….Her creativity and ability to problem solve independently have been assets for our team and for the library. We’re thankful for Jenny’s initiative and excellent work over the last year and we’re thrilled that her work has been recognized through this important award. Jenny and three other recipients of the award will receive certificates and $100 cash awards. What’s the Scholarly Communication Department Working On? This post was authored by Scholarly Communication Graduate Student Jenny Hoops. This week, the Scholarly Communication Department has been hard at work preparing for the upgrade to our new publishing platform, Open Journals Systems 3 (OJS 3). Our priorities have included providing outreach for our journal editors and managers, integrating IU branding and accessibility information, and creating a consistent design for the overall website while allowing each journal to maintain a unique aesthetic. The department offered three training sessions for journal managers and editors over the course of last week. These sessions highlighted the differences between the OJS 2 and OJS 3, emphasizing the streamlined process of submission management and the various technological improvements. Attendees were also able to see OJS 3 in action for the first time, as the training included a demo of the editorial workflow and a general overview of settings and features. While one of these workshops was available via Zoom in order to access editors not able to travel to IU, the two in-person sessions will include a series of hands-on activities in a test space of OJS 3. On April 5, we will be enacting a freeze on all of our journal content in order to facilitate final implementation of OJS 3. Users will be unable to submit new articles, engage in any editorial activity, or publish any issues during these four days, but articles will still be accessible for the general public. By April 9, OJS 3 will go live, and full functionality of both journal websites and the editorial workflow will be reinstated. If you have any questions about this timeline, training sessions, or OJS 3 generally, contact iusw@indiana.edu. On Thursday March 8, the Office of Scholarly Publishing and UITS partnered to hold a day-long Driving Student Success through Affordable Course Material Symposium. The symposium featured three experts from the University of Wisconsin-Madison. Each expert brought a unique perspective and context to the conversation. Steel Wagstaff (Educational Technology Consultant), Kris Olds (Professor of Geography), and Carrie Nelson (Librarian and Director of Scholarly Communication) presented at morning workshops and participated in an afternoon panel. Both faculty and staff attended with the symposium, with representatives from the Kelley School of Business, the School of Education, UITS, the Office of Financial Literacy, and the Office of the Vice President for Diversity, Equity, and Multicultural Affairs present. By the end of the day, at least one faculty member had switched from traditional course content to an affordable, digital eText! We’ve also already met with one faculty member interested in student-created OER and plan to have several follow up conversations in the coming months. Participants chose one of two morning workshops: “Making Open Textbooks and Other Interactive Learning Activities with Pressbooks” with Steel Wagstaff or “Supporting Campus and Course-Level Adoption of Open Course Content” with Carrie Nelson and Kris Olds. These workshops were informative and informal, shaped by participants’ questions and centered on hands on application. In Kris and Carrie’s session, we discussed the basics of open/ affordable and covered Creative Commons licensing, which then allowed us to have a more in-depth conversation about the process/ funding needed to create OER, governance and course material selection, student outreach, and the political economy of OER. Kris and Carrie also shared successful strategies for raising awareness about OER on their campus, which several participants felt was the most pressing barrier to more systematic adoption. Robert McDonald, Associate Dean for Research and Technology Strategies, kicked off the afternoon panel with contextual information about the price of course materials at IUB and how these costs impact students. The panel then opened with an overview of current initiatives at IU Bloomington, presented by Michele Kelmer and Michael Regoli. The panel transitioned to presentations from our UW-Madison guest experts. Each of the guest’s presentations demonstrated that UW-Madison is engaging in innovative work around Open Educational Resource (OER) creation and community building. I was inspired by several parts of the panel, but there are two slides I’d like to highlight here as essential and foundational for shaping the Office of Scholarly Publishing’s outreach at IU Bloomington. These points were both encouraging and motivating to me. The Scholarly Communication Department is invested in instructor agency and autonomy, student access, and building local expertise here at IUB. We hope to continue to find champions and enthusiasts that can partner with us to make these goals possible. There were several goals for symposium: to build community around course material issues, to connect instructors and relevant staff from key offices on campus, to raise awareness about the spectrum of existing affordable course material work happening at IU Bloomington, and to guide the future of Office of Scholarly Publishing services. We know the conversation doesn’t end here! We look forward to continuing to work with instructors on affordable and open course material creation and adoption. We also hope to partner with librarians and instructors within the IU system, Big Ten Academic Alliance (BTAA), and Unizin. Contact iusw@indiana.edu with questions about OER, affordable course material, Creative Commons licensing, or Pressbooks!